5 a script that may or may not have been influenced by Del Boy Trotter…. AND it is utterly marvellous. Oh, you want more? Ok then so Old Sixie (Colin Baker) Mrs Clarke (Miranda Raison) & Flip (Lisa Greenwood) are holidaying in 18th Century Bath, taking in the baths and the pump room and playing at being part of the polis society of the time. When the Doctor rescues the dog of Mrs Middlemint (Georgina Moon) our TARDIS crew find themselves in the debt of her brother the renowned industrialist Sir Geoffrey Balsam (Glynn Sweet) and are the toast of society as they are invited to attend a gala ball in which the mysterious “Lady Clara” will make an appearance. And for the first episode this story is very much a society comedy of manners in the style of Jane Austen, but just when you think you have got the handle of what type of story it is Marc Platt pulls a stroke of genius and changes the tone of the story completely – as Old SIxie romances Mrs Middlemint, the veneer of Regency respectability is torn apart as Mrs Clarke befriends the Reverend Naylor (Wayne Forester) a committed abolitionist and opens all our eyes to the fact that the wealth of so called polite society is built on the back of the slave trade. Never has a story gone from one extreme to the other but seemed so natural, because slavery seemed to be as natural part of high society as periwigs and society balls, and it is the casual acceptance by all but Captain Van Der Meer (Giles New) and the Reverend Naylor that is shocking to Flip and Mrs Clarke. The slaves are viewed as sub-human, as property to be bargained with, as nothing more than drones to keep the wheels of industry and commerce turning, and their nobility as personified by Mrs Middlemint’s slave girl Sarah (Diveen Henry) and her husband Gorembe (Ben Arogundade) is a privilege to hear. The main cast are firing on all cylinders from Colin Baker taking a rare romantic interest to Miranda Raison as Mrs Clarke utterly outraged at the treatment of slaves, her speech regarding fighting fascism in all its forms is true punch the air stuff, and there is Lisa Greenwood as Flip who has her own sub-plot avoiding the amorous and unwanted attentions of upper class twit of the decade Titus Craven (Liam McKenna) – all parts played with utter conviction, an historical in the true sense of the word, our heroes are impotent observers in a past where injustices have and are happening. 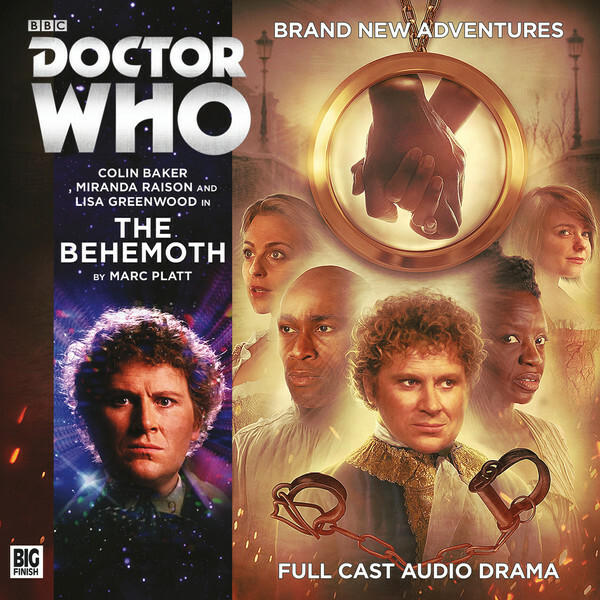 Colin Baker has always been the star of Big Finish productions Doctor Who Main Range, and stories like this are proof positive that he deserves that position. A compelling drama from beginning to end and ever so slightly educational as well – I wonder if Del Boy Trotter looked up “Lady Clara” when he was writing his screenplay for Rodney’s community film? Probably not but that does not stop me from awarding a rip roaring 10/10 for a genuine classic story.